August 2014 saw myself and SinnaOne prepping our plans for Boomtown festival. 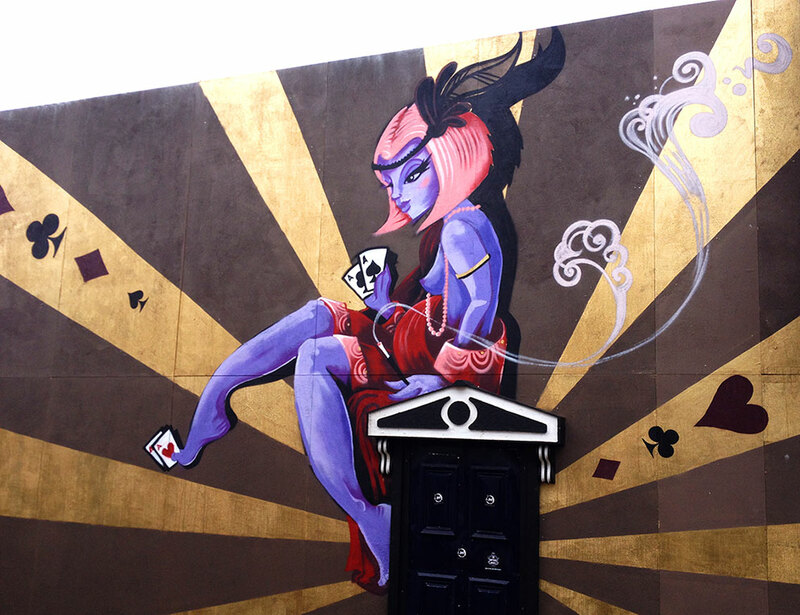 We had been asked to come up with a bespoke mural design for a casino themed set in the Mayfair section of the Festival. With limited time & budget, we planned something that was guaranteed to be striking from a distance. Painting commenced 2 days before the festival started, and while we worked away up our scaff tower, we saw the amazing set of Boomtown take shape around us..Hats off the all the girls & guys who worked their asses off to make it all come together. I even saw a baby grande being carried around by a JCB!